Ahead of the High-level event on Millennium Development Goals and post-2015 Development Agenda, on 25 September, it’s time to look back to 13 years of actions and efforts, during which UN DESA’s work has been central. To better understand the issues to be discussed this month, let’s watch our interview of Ms Shamshad Akhtar, Assistant Secretary-General of DESA. The Millennium Development Goals (MDGs) are eight international development goals that were officially established following the Millennium Summit of the United Nations in 2000, and the adoption of the United Nations Millennium Declaration. All 189 United Nations Member States represented in 2000, agreed to achieve these goals by the year 2015. National efforts have been supported by the UN system and other international organizations. Ahead of an upcoming special event organized by the President of the General Assembly next month, Secretary-General Ban Ki-moon has released a report, A Life of Dignity for All, containing his updates on the Goals and vision for the road ahead. While providing an assessment of progress to date, the report also identifies policies and programmes that have driven success in the achievement of the Goals and can contribute to accelerating it. These include emphasizing inclusive growth, decent employment and social protection; allocating more resources for essential services and ensuring access for all; strengthening political will and improving the international policy environment; and harnessing the power of multi-stakeholder partnerships. How does UN DESA assess MDGs progress? Since 2005 UN DESA has prepared an annual Millennium Development Goals Report, assessing the global and regional progress. The Report uses the most updated data series provided by the partner agencies and members of the Inter-Agency and Expert Group on MDG Indicators (IAEG). The latest version of the MDG Report was launched by the Secretary-General in Geneva on 1 July 2013. Unprecedented progress in poverty eradication has been made globally and in individual countries. The MDG Report 2013 shows that key MDG targets have already been met ahead of time, or are within close reach by 2015. 700 million fewer people lived in conditions of extreme poverty during the two decades since 1990. Over 2.1 million people gained access to improved drinking water sources in the past 21 years. The lives of more than 200 million slum dwellers have been significantly improved over the same period. Remarkable gains have also been made in the fight against malaria and tuberculosis, saving millions of lives. Since its creation by the Secretary-General in 2007, the MDG Gap Task Force has been measuring progress in implementing global commitments to support the MDGs as crystalized in Goal 8 – “the global partnership for development”. MDG-8 calls for strengthening Official Development Assistance (ODA), improving access of developing-country exports to international markets, enhancing cooperation to achieve sustainable external debt situations in developing countries, and deepening developing-country access to affordable essential medicines and new technologies. In addition to reporting progress in these areas, since its first report in 2008, the Task Force has identified the gaps between commitment and delivery and has called upon the international community to fill those gaps. The 2013 report will be launched by the Secretary General in September. There is a need to redouble efforts to meet the MDGs by the 2015 deadline, by leveraging all available resources and by adopting policies at national, regional and global levels which promote an enabling international environment. The economic and financial crisis has complicated efforts, progress in improving market access for many developing countries has been slow, and “aid for trade” has not escaped the impact of reduced ODA. Accelerating progress towards the MDGs by 2015 is a moral imperative and central to the commitments made by world leaders in the Millennium Declaration in 2000. It thus must be a global priority. Meeting the present commitments will put us in the best position to eradicate extreme poverty by 2030 and to put the world on a more sustainable growth path. The lessons learned from 15 years of MDG implementation will contribute to the definition of an ambitious agenda to complete any un-finished MDG items and to expand the development agenda in response to new development challenges. 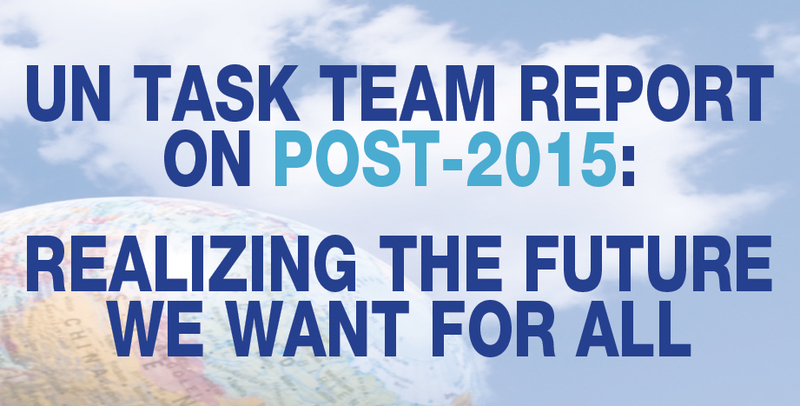 How is UN DESA involved in the Post-2015 Development Agenda? UN DESA is the co-chair of the UN Task Team (UNTT) for the post -2015 development agenda created by the Secretary General in November 2011. From that capacity, DESA has been coordinating the analytical work done by the UN System with representation from over 60 UN agencies and entities. The UN Task Team has launched three reports: “Realizing the Future We Want for All” in July 2012; “Towards a renewed global partnership for development” in March 2013; and “Statistics and Indicators for the Post 2015 Development Agenda” in July 2013. UN DESA has also been actively engaged in helping policy makers in developing countries conduct integrated macro and microeconomic modelling framework exercises to evaluate possible trade-offs across multiple policy objectives, to assess alternative MDG financing strategies, and to develop an understanding of counter-cyclical policies to mitigate the adverse impact of the global economic and financial crisis. The outcome document of the UN Conference on Sustainable Development “The future we want” recognized the need for significant mobilization of resources to promote sustainable development across the three pillars of social, economic and environmental sustainability. For this purpose, Governments agreed to establish an intergovernmental committee of experts. The committee is tasked with proposing options on an effective sustainable development financing strategy. It started its deliberations at the end of August and will be submitting its findings and recommendations to the General Assembly by September 2014. UN DESA established a working group as part of the UNTT, with representatives from across the UN system, to study long-term financing for sustainable development and support the expert committee and the post-2015 development agenda. Also in response to the Rio+20 outcome document, the Secretary-General created the Technical Support Team (TST) under the umbrella of the UNTT. UN DESA is co-leading the work of the TST who provides technical support to the Open Working Group. This group is preparing a proposed set of Sustainable Development Goals for consideration of the General Assembly as part of the post 2015 process. UN DESA is co-leading the preparation of issue briefs with participation from UN agencies and entities. The issue briefs touch on all the thematic areas that are being discussed in the Open Working Group and that are leading to the identification of the Sustainable Development Goals. In the context of the Open Working Group, UN DESA coordinates engagement of Major Groups of civil society including NGOs, Business and Industry, Local Authorities, Women, etc. as defined in Agenda 21, and other stakeholders with the inter-governmental process to define the SDGs and the post 2015 development agenda. Through an on-going dialogue between the co-chairs of the OGW and these stakeholders, as well as online submissions, UN DESA is committed to ensure that the definition of the post 2015 development agenda is part of an inclusive process with wide participation from all sectors. Many of the world’s one billion persons living with a disability remain excluded from development in areas such as education, employment and healthcare. As a result, they experience higher rates of poverty and unemployment, and lower life-expectancy than the general population. As part of ongoing efforts to break down barriers and to ensure an inclusive society for all, a one-day high-level meeting of the General Assembly on Disability and Development (HLMD) will be held on 23 September 2013. The High-level Meeting takes place five years after the entry into force of the UN Convention on the Rights of Persons with Disabilities (CRPD), and two years before the 2015 target date for achievement of the Millennium Development Goals (MDGs). The Meeting is held against the backdrop of ongoing international dialogue towards development of a new post-2015 agenda. Despite the support of the Convention, disability has remained largely invisible in most mainstream development agenda and processes. Even if the commitment to development includes people with disabilities, a considerable gap remains between the commitment and what happens on the ground. The international community as well as individual governments are committed to achieve development goals for all, but a perspective of disability and concerns of persons with disabilities were too often absent in development frameworks and processes. An example of such exclusion is in the Millennium Development Goals (MDGs), where persons with disabilities and their concerns, now numbering over a billion, were often invisible in development processes both at global and national levels. 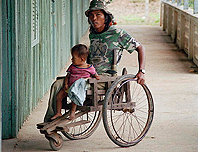 Without taking actions such as allocating resources, developing disability-inclusive policies and programmes, as well as monitoring and evaluating progress, disability will be left out of development. These actions would help mainstreaming disability in development by the international community and governments. The High level meeting on Disability and Development, to be convened at the level of heads of States and Governments, is expected to result in a concise, action-oriented outcome document in support of the aims of the Convention on the Rights of Persons with Disabilities and the realization of the Millennium Development Goals and other internationally agreed development goals for persons with disabilities. Prior to the convening of the HLMDD on 23 September 2013, an outcome document will be drafted by Member States, taking into full account the input from persons with disabilities and their organizations as well as other relevant stakeholders, for adoption by the High Level Meeting itself. Regional and other forms of consultations took place recently in Brussels (Belgium), Bahia (Brazil), Bangkok (Thailand) and Tunis (Tunisia), as well as in other countries/ regions with the aim to contribute to the High Level meeting. DESA, in partnership with UNICEF, conducted online global consultations from 8 March to 5 April 2013 in all UN official languages as well as other languages. Representatives of Governments, UN agencies and civil society organizations, including organizations of persons with disabilities participated and contributed their perspectives, in the consultations. Disability-inclusive and participatory approach to such consultations has contributed to the preparation of the outcome document and will make possible the inclusion of disability in the on-going work of the post-2015 development framework. During the fifth session of the Conference of States Parties to the Convention on the Rights of Persons with Disabilities in 2012, the United Nations Under-Secretary-General for Economic and Social Affairs, Mr. Wu Hongbo, highlighted that “It is now time to translate the commitment into action to mainstream disability in development. After all, it is our responsibility as members of the international community and citizens of our own countries to bring about positive changes to more than one billion persons with disabilities and their communities worldwide”. Since its entry into force in 2008, 131 countries have ratified or acceded to the CRPD, and 155 have signed it. 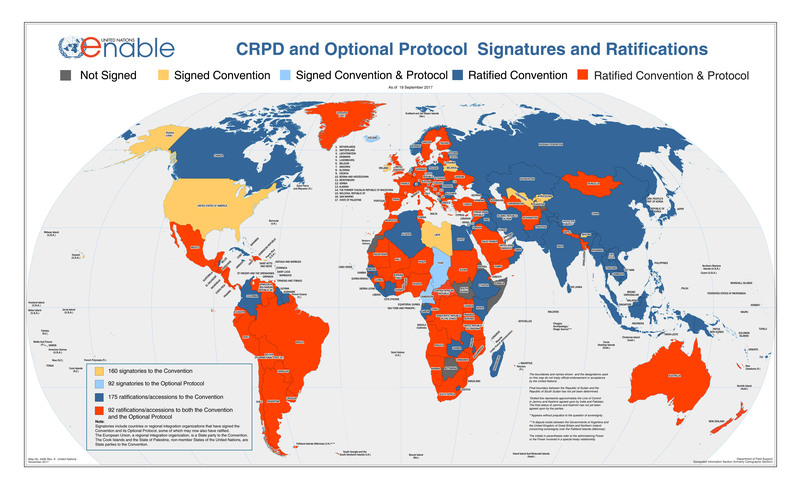 The Optional Protocol to the CRPD has 76 ratifications and 91 signatories. Heads of State and Government will now meet every four years to ensure that commitment to sustainable development remains at the highest level. The High-level Political Forum for Sustainable Development (HLPF) will hold its inaugural meeting on 24 September. It will aim to advance sustainable development by providing political leadership and guidance and setting a focused, dynamic and action-oriented agenda. The forum will replace the Commission on Sustainable Development (CSD). The HLPF will follow up and review progress in the implementation of the Rio+20 outcome document and sustainable development commitments made at the previous summits and conference. It also provides a new opportunity to ensure that all dimensions of sustainable development — economic, social and environmental — are brought together in a coherent way. The HLPF will be a new and different way of supporting the implementation of the Millennium Development Goals (MDGs), as well as the sustainable development goals (SDGs) after they are adopted within the post-2015 development agenda. “The first meetings will very much set the tone for what the forum will look like in the future, says Nikhil Seth, Director of the Division for Sustainable Development of DESA. We must be bold and conceive a unique platform: a platform which focuses on implementation, a platform which not only reviews but also truly impacts on progress, a platform which rallies actors to not only reflect but also do things together, a platform whose work spans economic, social and environmental dimensions. We need such a platform if we are to rise up to the challenges of the SDGs and the post 2015 development agenda”. How will the HLPF work? The new forum will convene Heads of State and Government every four years, under the auspices of the UN General Assembly, to promote the implementation of sustainable development and address new challenges. Their deliberations will result in a negotiated declaration aimed at providing high-level policy guidance and raising the bar for action and results. There will also be an annual eight-day meeting, including three days at the ministerial level, under the auspices of ECOSOC. “Within the broad guidance given by the GA on the format of the forum, we must create an innovative platform for all countries and the range of sustainable development actors to respond to new challenges, keep the compass on sustainable development commitments and look to the long term”, adds Nikhil Seth. Direct involvement of Heads of State and Government every four years should ensure that commitment to sustainable development remains at the highest level, bolstered by strategic guidance for integrated and holistic policy-making and implementation. Starting in 2016, the forum will also include reviews on the implementation of sustainable development by all countries and the UN system. This should promote better accountability and focus efforts toward achieving action on the ground. The forum will be open to all Member States of the United Nations as well as States members of specialized agencies, notably the Cook Islands, Niue, the Holy See and Palestine. UN DESA acts as the substantive secretariat to the forum, by providing governments with timely analysis, data and other background documentation. Through the Executive Committee on Economic and Social Affairs (ECESA) Plus mechanism, the Department coordinates these inputs from across the UN system, including its various specialized agencies, funds and programmes, regional commissions, convention secretariats and other entities. DESA’s Division for Sustainable Development is organizing two special events on 23 September in the margins of the General Debate of the 68th session of the General Assembly, the outcomes of which will be reported to the inaugural HLPF meeting. One special event will deal with Sustainable Cities and SDGs, the other will focus on the Higher Education Sustainability Initiative (HESI) and related voluntary initiatives. “With the HLPF comes the chance to put in place a different kind of governance”, stresses Nikhil Seth. “A governance that looks to the long term, takes into account not only economic but also social and environmental challenges, engages the range of actors who have a stake in development, and responds to change and new challenges. 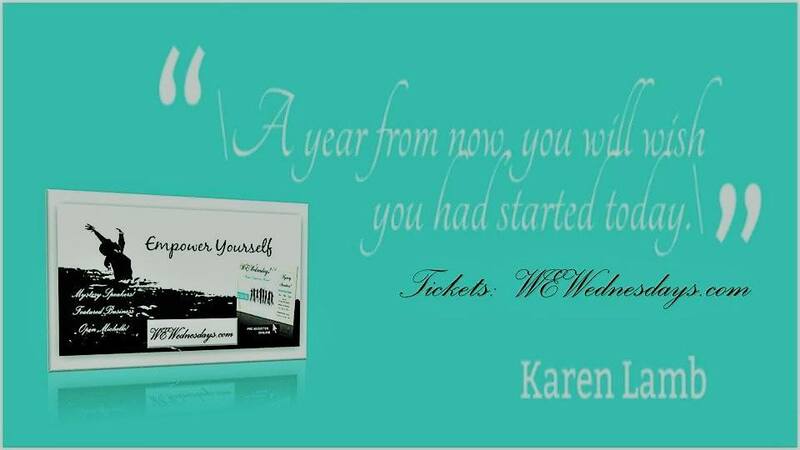 The forum can instill a new way of thinking and working at the UN”. Provisions have also been made for the enhanced participation of the nine Major Groups, building on their participation in the work of the Commission on Sustainable Development. Under the HLPF, specific modalities for future engagement with Major Groups and other stakeholders in sustainable development will be developed as a matter of priority soon after the forum begins its work. The HLPF will replace the Commission on Sustainable Development (CSD), which will hold its last meeting on 20 September 2013. 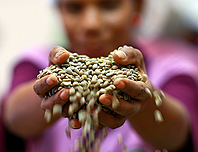 The CSD was created in 1992 to follow up on the 1992 UN Conference on Environment and Development (Earth Summit). Under the CSD, governments convened twenty annual sessions, helping advance sustainable development across the world.